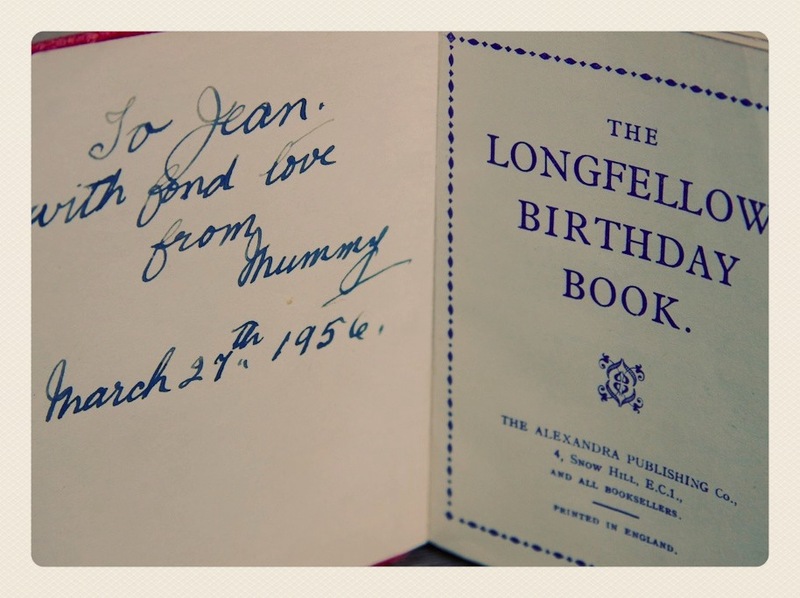 I found, in the bottom of an old memory box of my Granny's, her leather Birthday Book. It was given to her on her birthday by my Great Granny! 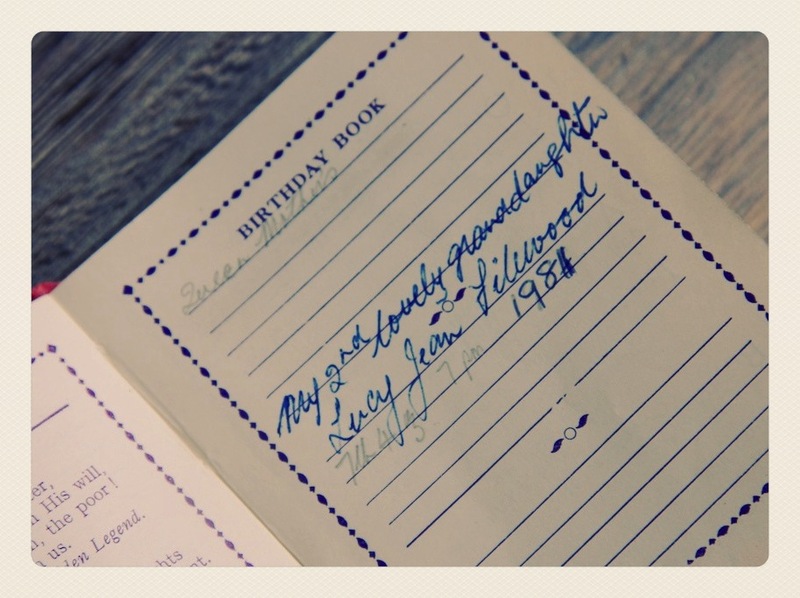 I love how her handwriting matures through the book. 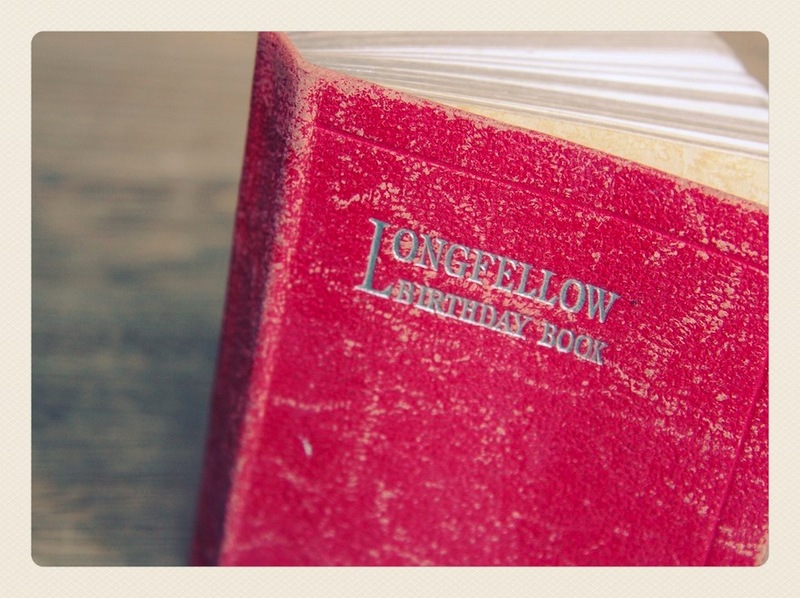 She kept a record of everyone's birthday and wrote down memorable dates including the birth of all her grandchildren and anniversaries. She even recorded, her own birth was delivered by the very same Dr Barbara Bailey, who delivered her first daughter, my Auntie! 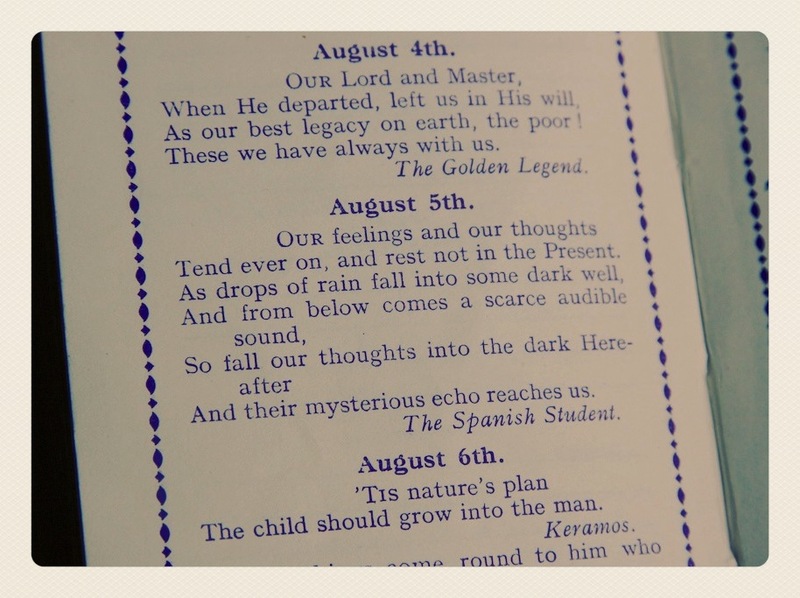 Against each date is a quotation or extract from a passage. What is your birthday and I will have a peek at your date? !